A portrait of Michael Westernhouse Sutton, an Atchison, Topeka & Santa Fe Railroad attorney in Dodge City, Kansas. Sutton, a prohibitionist, worked against his friend William Barkley "Bat" Masterson during the liquor war of 1886. 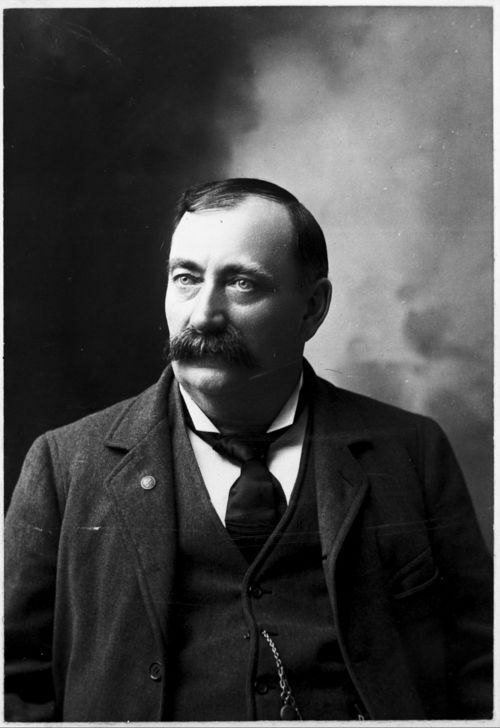 Also, he served in the Kansas House of Representatives in 1893 representing District 97.